I’ve always insisted that one man does not a team make, but it is difficult to put into perspective that one man can make a huge difference. 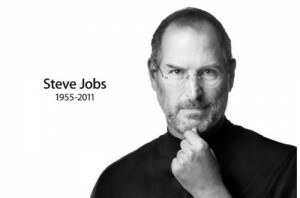 As the head of Apple, Steve Jobs was part of a team that revolutionised the way we live. Were it not for the Macintosh, would computers look and behave the way they do today? NeXT provided the first platform for the World Wide Web and this incredible world we live in. The iPod, the iMac and the iPhone have revolutionised their own industries and have been total game changers. Jobs was also responsible for buying out the animated division of Lucasfilm in 1986 from George Lucas and helped them change direction. That division was spun off into a business called Pixar Animation Studios. When Pixar was bought out by Disney in 2006, he became Disney’s largest shareholder. Thanks for everything Steve. If one man can change the world, then I guess we all can. My thoughts go out to Steve’s wife Laurene, his children, his colleagues and friends.